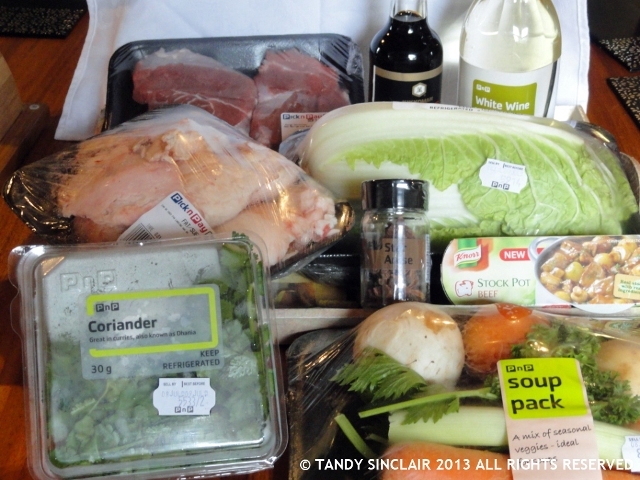 The moment I got my email for round 2 of Freshly Blogged I knew I was going to make beef dumplings served in broth. I have wanted to make Chinese dumplings for quite some time now, and this challenge presented the perfect opportunity. Dumplings are traditionally served in a broth and given that it is winter and cold it was a wonderful dish to make for Sunday lunch. The broth has a rich flavour, partly from the Knorr stock pot and also from the addition of Tamari. Tamari provides a deeper flavour to dishes than ordinary soy sauce. I made a simple refrigerator pickled carrot to go with this dish and these crunchy morsels provided a great texture to the beef dumplings as well as adding another flavour element to the dish. This ticked all the boxes as far as temperature, texture and taste is concerned. Do not be daunted by the amount of time you have to spend in the kitchen to make this dish, it is well worth the effort. If you cannot find suet do not worry, ordinary cooking oil will work just as well. Disclosure: This challenge was sponsored by Knorr for the Freshly Blogged Challenge. This post is in line with my blogging policy. Super great job on this, my belly is rumbling just looking at those pictures! I love dumplings.. mmm! I adore dumplings and this sounds delicious! 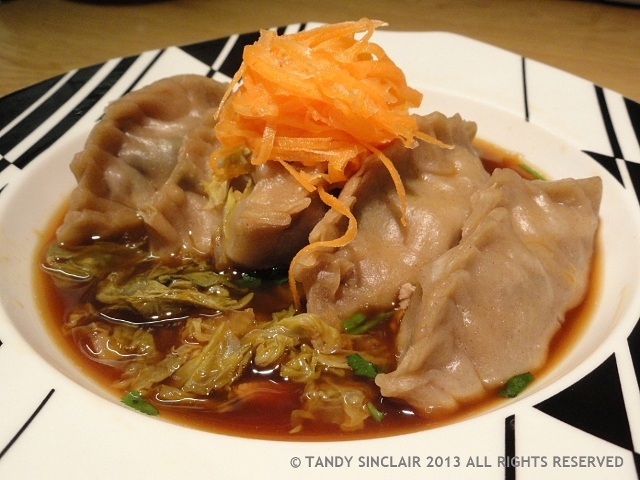 Tandy, I love your beef dumplings, such a comfort dish…yum! I adore dumplings. So great for a winter warmer, Tandy. Ooo, sounds fabulous! Perfect for this horrible cold weather. Oh how delicious!!! This is one of my favourite dishes!! This has been so interesting to read and I may well try during our current winter season. You have made this dish SE Asian style: I am used to it NE European way [great minds think alike 😉 !]. I make a double-strength beef/chicken broth and my dumplings are more like ‘meatballs’ made ‘firm’ with crumbs and egg. Both great versions . . . I will try the sesame oil next time as that sounds great! I shall have to try the Polish way soon! Good morning, Tandy, this recipe will definitely make it on my list for autumn meals. I love dumplings of all kinds, thanks for sharing!